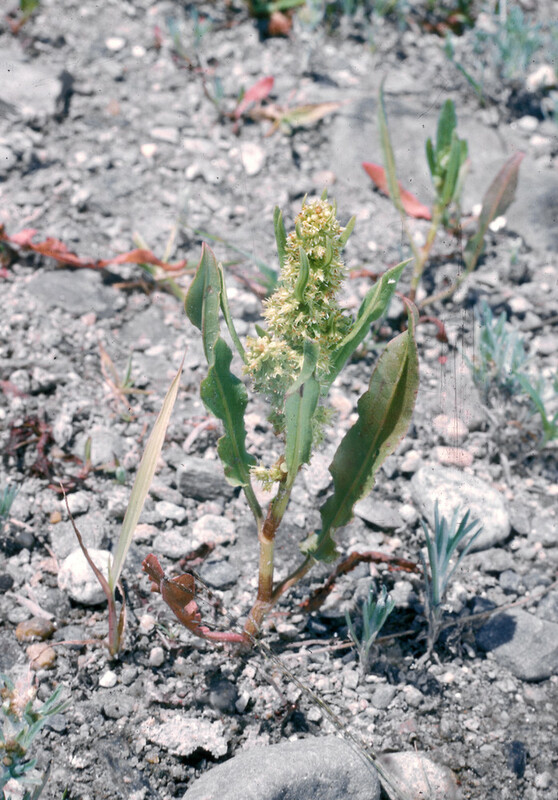 Rumex persicarioides is a native coastal plant that has been introduced into the interior of New England in a few counties (the introduced populations belong to var. fueginus). 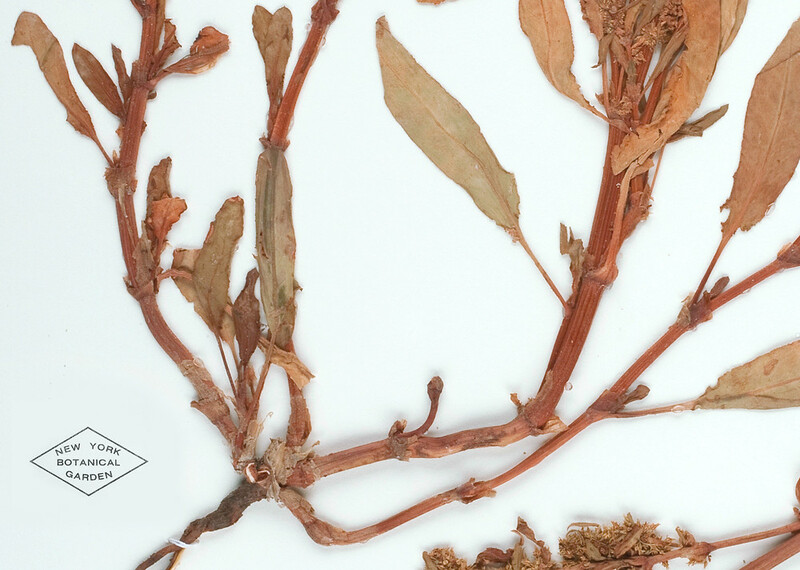 abaxial leaf blade surface and branches of inflorescence glabrous or inconspicuously papillose, leaf blades narrow-cuneate at base or rarely to broad-cuneate, and tubercle of inner tepals usually smooth (vs. R. persicarioides, with abaxial leaf blade surface and branches of inflorescence papillose-pubescent, leaf blades truncate to subcordate at base or rarely broad-cuneate, and tubercule of inner tepals distinctly reticulate-pitted). American golden dock. 14a. 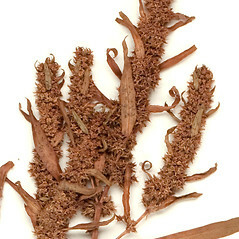 Rumex fueginus Phil. 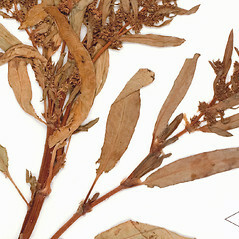 ; R. maritimus L. var. athrix St. John; R. maritimus L. ssp. fueginus (Phil.) Hultén; R. maritimus L. var. fueginus (Phil.) Dusen; 14b. 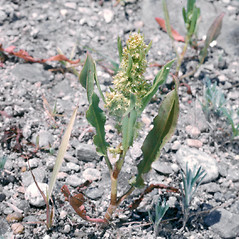 Rumex maritimus L. var. 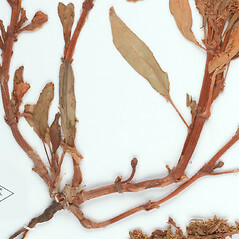 persicarioides (L.) R.S. Mitchell • CT, MA, ME, NH, RI, VT. Saline and brackish marshes, Atlantic coast shores, fields, gardens. 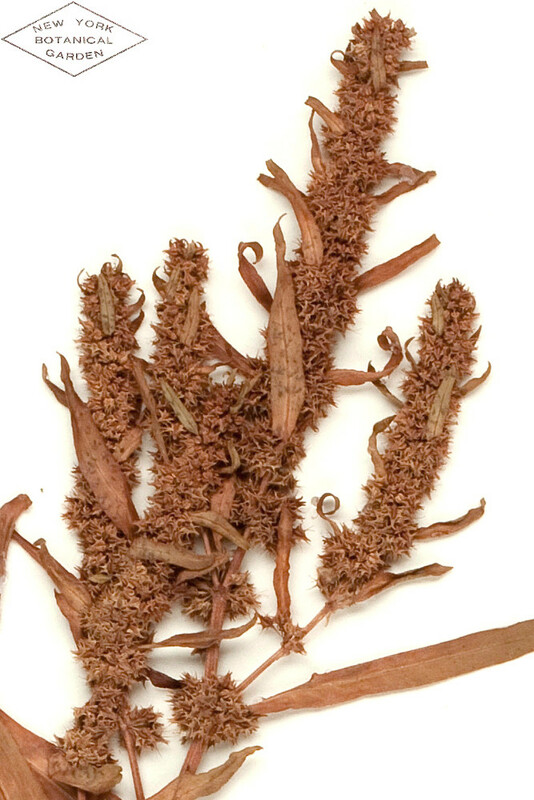 Variety fueginus is known from CT, MA, ME, NH, RI, VT. 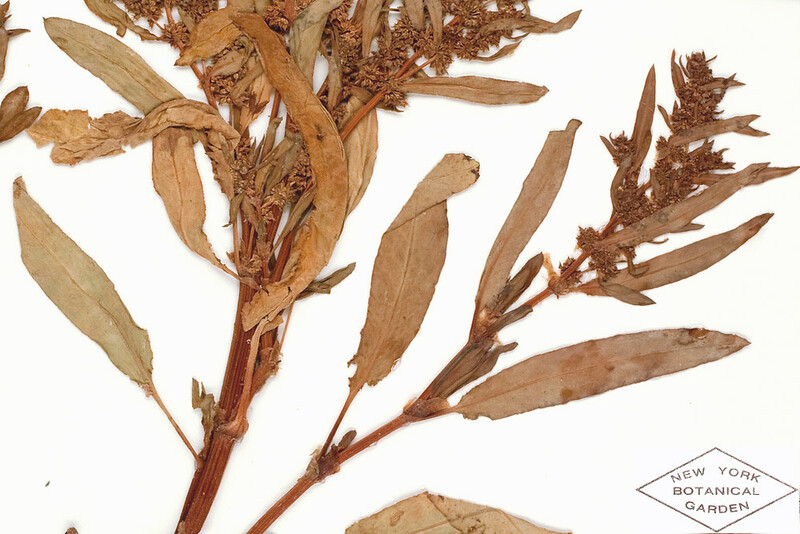 It occurs along the coast as a native halophyte and is introduced inland in fields and disturbed habitats. Variety persicarioides is known from CT, MA, RI. It is restricted to coastal habitats where it is native.